Videoslots Casino Review (2019) | SEE the Monster £10 + £200 Bonus! Videoslots, eh? What a simple name for an online casino. It really takes you back to an era when online casinos would be named like this, instead of the very elaborate and flamboyant names that we run into nowadays. As a matter of fact, Videoslots was established in 2011, so they must be doing something right to be alive and kicking still, over 6 years later. Truth be told, Videoslots is regarded as one of the best online casinos ever—perhaps even the one that truly takes the cake. In fact, For many years now, this casino has been awarded with the honor of being called the best online casino of the year. But what really makes Videoslots that special? Let’s take a look! When you are looking at a successful online casino, you can often make a guess that they offer a lucrative welcome bonus. That is, when you are looking at an online casino that has just been opened and is thriving. Old casinos do not tend to give out such huge bonuses as, quite frankly, they don’t need to. Videoslots has been around for long enough to kind of be able to rest on their laurels, but it seems like this is not what they are doing. The Professor always says that a 100% bonus and up to €100 is pretty much your standard offering. Videoslots have decided to go above this. Okay, so what is that 10 euro extra cash? Videoslots have decided to do things a bit differently, as they are giving each player making their first deposit 10 euros’ worth of real money. This money cannot be withdrawn, however, unless the players plays at least 250 euros’ worth at the casino. Players who understand poker will without a doubt find this bonus system pretty familiar, whereas others might be at somewhat of a loss. You do not need a bonus code at Videoslots. As we already discussed, you will be getting 11 wager free spins with your first deposit! You can really see that Videoslots has been around for quite some time as their bonus terms and conditions are really, really long. It is actually quite hard to find the meat amidst all of the other stuff that they have written. Still, the bonus terms and conditions do sound pretty fair. You only have to wager your bonus money 20 times in order to complete the wagering requirements. This is very lenient, to say the least. Also, they are saying that your bonus money will be paid in increments of 10%. If we read it correctly (and trust us, it is not your average children’s book out there), they will be paying your bonus money back to you as you go. So, if you deposit, say, 100 euro, and end up with a wagering requirement of 2000 euro, when you’ve wagered 200 already, you will be getting your first 10 euros’ worth of real money. The terms and conditions here are really kind of complex, so you might want to check them out yourself. Rather be safe than sorry here. Videoslots really isn’t lacking here, either. You have a choice between Mastercard, Visa, Skrill, Neteller, Trustly, Paysafecard, EcoPayz, Euteller, Zimpler and perhaps a few others, depending on where you’re located. 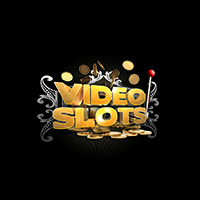 One of the best things about Videoslots is that they have perhaps the fastest payouts in all of casino world. You can expect them to pay your money to you in just about 12 hours, which is insanely fast when compared to just about any of their competitors. One of the reasons for Videoslots’s supremacy that has not yet been mentioned is the fact that they actually have more games than just about any other online casino that we have ever seen. They are actually past the 2400 mark (!!! ), which is quite a feat. Their game provider list has well over 40 names listed, so we don’t even feel like mentioning them here. Still, you can find all the best providers here, in addition to some more obscure and rare ones. Oh, and to give you some idea of what’s in store, there are over 80 video pokers, 6 bingos, 38 scratch cards and even 6 keno. You are certainly not going to be bored here. The mobile casino here is one to behold. There are well over 700 games to choose from even here. Videoslots is one of those rare casinos that actually has three licenses to their name. These would be from the UK Gambling Commission, Curacao, and the Malta Gaming Authority. You can definitely feel safe here. There are tons of countries that are not permitted here. We are going to list some of the biggest European countries here, but there are a lot more as well. Restricted countries include: Bosnia & Herzegovina, Bulgaria, Cyprus, Czech Republic, Denmark, Estonia, France, Israel, Italy, Lithuania, Poland, Portugal, Romania, Spain, and Ukraine. The Professor really liked his time at Videoslots. It is truly no wonder that they have been heralded as one of the very best in the business. Videoslots home page might not be the most modern that we’ve ever seen, but it certainly does its job and bring us some nostalgia along with it. It’s a classic, yet modern online casino. The Professor also loved the low wagering requirements for the welcome bonus as well as their endless other promotions. You cannot find a much better deal elsewhere, even though the terms and conditions page is rather cluttered. Give Videoslots a chance! It’s no coincidence that they’ve won Casino of the Year multiple times in a row.